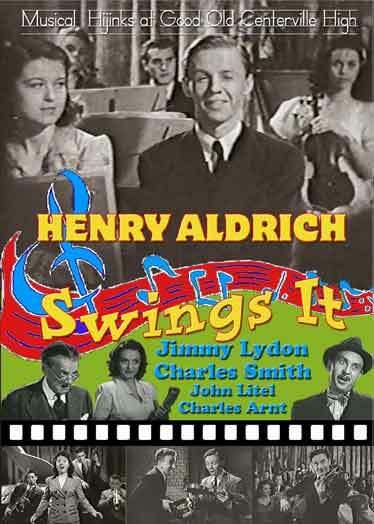 Henry Aldrich Swings It – When Henry’s in the groove it soon becomes a rut! Trouble soon gets hot with a fiddle that’s a riddle…to the cops! Complications arise when Henry, in love with the new music teacher, joins the band. He accidentally gets a Stradivarius that belongs to another man. The crooks are after the Stradivarius and Henry, of course, wins the day. 1943 – BW – 64 Minutes.